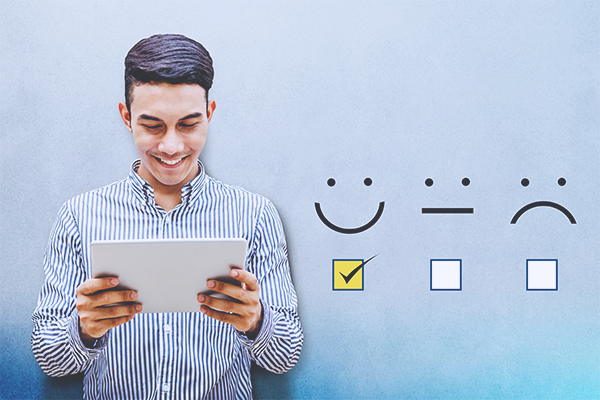 When an organization begins the process of evaluating LMS options, they typically will start by developing a list of features that should be included. Confirming this list helps to identify ideal candidates. While the feature set is critical to narrow an organization’s search process, often an element that is overlooked, at least initially, is the User Experience or “UX”. So much of what we do today is defined by the user experience. An impactful example is the mobile device we interact with hundreds of times a day. UX design also applies to mundane products such as a coffee cup or the toothbrush we use. But how about interacting with an LMS? If we want to ensure that learners have an excellent experience when accessing education opportunities, it’s critical to make sure that every element of our learning management site is attractively designed, intuitive to navigate, is relevant and meaningful. Choose an LMS that provides complete control of every aspect of the design. You have invested in the development of your website to ensure it presents your organization in the best possible way. You most likely do not want to implement an LMS that feels like a separate component. Ideally your learning site will be nimble enough to incorporate your website styling, navigation, layout, imagery, fonts and taxonomy. Having an LMS with visual congruence to your website will eliminate a disconnect of having two separately hosted online components. Ensure that your LMS works seamlessly with your ecosystem of applications including your AMS (database) and private online community. When a learner moves to and from your LMS, does the experience feel disjointed? It is important to provide visual congruence through your entire ecosystem of web platforms so the user experience will be not be compromised. In addition, it is important to integrate with these systems to ensure login credentials are carried through all applications. This will create seamless navigation and enhance the overall experience. Establish a style guide to be applied throughout your site. It’s important to have a set style guide that addresses every design element of your LMS. This applies to both the platform and contents. Choose a platform that provides you design flexibility for all elements. Make sure that your staff or anyone that works with your LMS adheres to your guidelines. It shows when certain elements do not adhere to the standards you have set, therefore compromising the User Experience. Create a relevant and simple process for accessing content. Ideally the LMS experience can be personalized for each learner so when they login in, they are presented content that is relevant to their needs. This can be done in multiple ways. The first is using information you already know about a learner and presenting the right access, pricing and topics. A second way to is to allow the user to set their interests and prioritize the presentation of content based on those interests. Having customized experiences fosters loyalty and return visits to your site. To support simple access of content, avoid scrolling to find programs. Instead, provide the right amount of content per screen. Make registration and checkout clean and simple. Ideally, in a matter of a click or two the learner will be able to register and access their selected program. When they land on the shopping cart page, it should be clean and simple. Once the registration is completed, the learner is seamlessly directed to the content that they register for. When the User Experience is exceptional, the exposure and value of your learning programs is increased. The UX represents you in a highly public way and it’s important to ensure it positions your organization for success. If you would like more information on UX Design for your LMS or the CommPartners Elevate LMS, give us a call at (800) 274-9390 or fill out our online contact form to get in touch with someone.